It’s always a tough act to follow the queen that is Beyonce herself, but if anyone can pull it off, it’s John Legend and Common. The duo — who already nabbed a Golden Globe for the inspirational track — pour incredible emotion into the song every time they perform it live, and the 2015 Grammys were no exception. Whether Legend was slaying the chorus as he accompanied himself on the piano or Common was filling each verse with impassioned rhymes, it’s beyond clear that both artists are not only immensely talented, but truly believe in the film’s cause and the message of the song. And it’s only fitting that Music’s Biggest Night ends on such an uplifting, inspirational note — and performance — like this one. 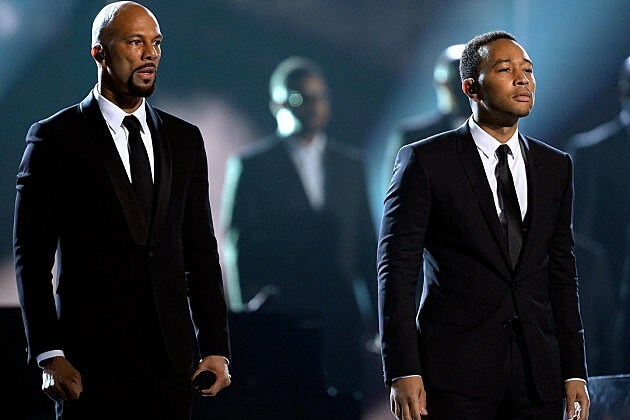 Hats off to you, John Legend and Common.